Designing Dreams has changed its address, seeking for a platform that suits it better. You can read the newest posts here. Thank you! Nothing happens by chance. This is one thing I believe on. I discovered Les Brown today. I never heard about him before, let alone hear one of his talks. He's a great motivational speaker: inside him there's passion, knowledge and the will to share. I also admire his strength, however what most inspires me in his life story is: he never gave up. That's a great lesson we need to learn. "If you can't see it, it doesn't mean it isn't working". In this video I'm sharing with you, Les talks about nurture, constant nurture. That metaphor of the Chinese Bamboo tree is a great reminder, and the seed I needed to continue to pursuit my goals. To remind myself that I'm capable enough to achieve them. We live in a world of instant rewarding, he says. We want what we want, right here and right now. But life isn't a one ladder stairway. Or has a trampoline that let us jump from the first ladder to the last. I lack this asset: of being patient. It's something I need to work on. Right now, I think I wouldn't be able to water that bamboo tree every single day for 4 years. One day I would forget it, another I wouldn't feel like having all the work to just water it (and just tell myself "it's just one day, what harm can it make? ", and then make of this an habit), the following day I'd question myself "What's the purpose? I can't see any outcome" or "I must be doing something wrong. But what?". One day, I'd be so full of excuses that I wouldn't be even conscious that I haven't gave any chance for that tree to grow. Here's my opportunity to change and grow. I do it with most of my dreams: I do something and nothing happens. I continue doing it for some time and, still, nothing happens. I change here and there, but, well, nothing happens! So I quit and try another dream. I do this in a loop, growing to infinity. This talk taught me that I'm doing everything wrong, even when I'm thinking "I must be doing something wrong". My efforts are an Escher painting, with all that climbing and downing stairs. They are always polite and grateful. I once read a wonderful article by Garr Reynolds in Presentation Zen (still one of my favourite blogs! ), which talked about this bamboo tree. I think you should read it too. Also, even if you don't like animation movies, you need to watch Big Hero 6. This is one of the best Disney movies I saw for some years now. It teaches us to persevere, even when everything goes wrong or we don't know what to do any more. The motto is: keep doing and keep failing until you make it. I've made a clip with all the tests Tadashi ran, in order to Baymax to work (84!). Subtitles are in Portuguese, because it's my mother language. After the clip, I'll transcribe the whole dialogue, in English. Baymax - Tadashi is here. Tadashi - Here is Tadashi Hamada. And this is the first test of my robotics project. Baymax - Hello. I am Baymax. Tadashi - Stop, stop, stop, stop, stop. Tadashi - The seventh's test of my robotics project. Tadashi - Ugh! Wait. W-wait. Stop there. Stop. Tadashi - Tadashi Hamada again. And this is the thirty third test of my robotics project. Tadashi - *sights* I'm not giving up on you. You don't understand this yet but people need you so let's get back to work. Tadashi - This is... uh... Tadashi Hamada and this is the eighty fourth... test... *sights* What do you say, big guy? Baymax - Hello. I am Baymax. Your personal healthcare companion. Tadashi - It works. It works! Oh, this is amazing! You work! I knew it, I knew it, I knew it, I knew it! You work, I can't believe it! Tadashi - Ok, ok. Right, big moment here. Scan me. Baymax - Your neurotransmitter levels are elevated. This indicates that you are happy. Tadashi - That's all for now. I'm satisfied with my care. This scene was my favourite one, from all the animation. Here you can see a young boy, trying to change the world by helping people. Quoting a wise man, he is mad enough to believe he can change the world, so he changes it. His early efforts are unsuccessful, but he has faith in the project so he keeps going. He wants to help people so much that giving up is not an option. So he tries and tries again: one, seven, thirty, eighty four times. And then he gets it. Can you see the excitement on his face? How much is he happy? He can't contain himself. And then, we wants to share his victory with his brother, Hiro. Love and confidence can really change the world. So, don't ever give up on your dreams. Don't listen when others say you won't make it. Erase your thoughts when your conscious whispers on your ear that you don't have the skills yet. Those are all lies, obstacles you need to surpass. And those obstacles are the ones that will show how much you want this dream. So, open your wings and fly. Open your heart and be amazed. You can do it! When I think about my grandfather, I think about death. Maybe that's why, on this Era, we treat old people so bad. We don't want to see them, we don't want to hear them, we don't want to be them. Because we know, sooner or later, we'll be dead as well. But death has no age. She's the perfect human being, actually. She doesn't distinguish between babies and grown-ups, boys or girls, Catholics or Muslims, the black from the white. The only certainty we have make us tremble, and yet we fear the uncertainty. As we never know when our time is to come. Death always made me shiver. And I never believe when someone says to me they aren't afraid of it. Of her. They're just hiding in a time capsule, telling themselves they have still much time to think about it. To deal with it. We haven't. Death is all around us. We hear it on the news every day, every second. But the death of those others are meaningless to us. We don't feel their pain. We feel compassion only for a few seconds, and then forget. When someone close to us die, we suffer for days, months and years. But once we get used to it, we forget it too. Our escape is our daily routine. I'm not really afraid of dying. I'm afraid of remaining dead for eternity. Eternity is a long time, too much time. Eternity scares me no matter the shape it takes. I wonder if there really is a time, or just an illusion we made for ourselves. The "now" is the only thing that seems real. My past, my memories are only on my brain, how can I be sure I captured it fully? (That's impossible...) They are just images mixed with emotions, too much similar with the ones I get from films and books and dreams. So alike that sometimes I get confused: I forget which ones were real and which were fiction. Well, they're all fiction now, anyway. And future... who knows there is one? I might not be here on the next very second. Eventually, the next second won't exist. The next second always makes me crumble. Nice play of words, isn't it? The next second is an empty void. My black-hole. When I'm with my grandfather, I want to collect all his stories. They're a precious treasure for me. I don't know how much time he has for me, to share his world with me. I never got to know him, I'm afraid I never will. My only grandfather. My family doesn't talk much about themselves, only a few happenings here and there. However, they're never enough to grasp their identity, their unique personality. I don't know who my grandfather is. And when I say my grandfather, I'm saying my mother and my father. My sisters and my cousins. My uncles or other relatives. When I say I don't know my own family, I'm saying I don't know a big part of myself: my history. Maybe that's why we invented time. To know our history or inventing it as we please. Maybe we invented time in a strike of being immortals. Maybe that's why we do anything: to be what we never can - alive for eternity. That also scares me - to be alive eternally. It will be perfect to switch between life and death. (But nothing is perfect, is it?) To have the chance to be another person and another being. I'm wondering if there's a limit one can explore themselves: if we can reach our full potential at all sides, if we can know ourselves in all dimensions and situations. But, on the other hand, will that make sense? Is that a valid purpose for one's life? Will that mean live in eternity in a single body and soul? And do we have just one soul? Life goes by really fast, terribly fast (and yet we get bored!). I'm almost 31 one years old and I didn't do half the things I want yet. I know many of my dreams won't see the light of day (or night) and I'm OK with that. Sort of. But it also feels I could have done more. I still have time (or have I? ), let's start doing them! At my teen years, I was very angry at death. I wanted to kill her. I lived in constant fear, insomniac. All my writing was about her. She was my muse. Ironic. She lived inside me when I didn't want her to meet me at all. Oh, but she knows me very well. And I do want to meet her, I just don't want to be her. (Now I have this image on my head, of death as millions of people running after you.) Yes, I'd like to know how it feels to die. I want to know what being dead means, not what I suppose it is. Something like that episode of Dr. House. If death was another form of consciousness, I would have no problem at all to embrace it. Although being a spooky subject, I have the necessity of talking about this happening that makes part of life, without making part of it. That destroys it while making space to create it. It's my way of understanding it, of taking away the fear. Even if I won't sleep at night after doing it. Or fill my mind with questions and fall asleep by exhaustion. There are only two poetics sides of death, as I see it. The fact that everything comes from and goes to the same place (We Are All Made of Stars). And that we're sacrificing ourselves in order to others can experience this amazing gift. Right now, I'm thinking that my death will give room for my son to grow. Even death has its good side, it appears. And eternity is a long time. They also say hope is the last thing to die. As long there's hope, anything can be possible. Maybe we will find a way of being dead, and yet to be alive (and not in a metaphorical way). We live by choices. The only thing we can't choose is to stay alive. We can't choose to not die. However, we can decide how we want to live, we can decide how much we enjoy life. No matter for how much time we live, we can always take the most out of it. If it weren't death, will we experience life the best we could? Would it be such a precious gift? Would it be as wonderful to our eyes as it is now? Remember, the only thing worst than dying is to be already dead, while still alive. The absolution of death creates the magic of life. Full stop. After reading Dane Sanders' article about writing (Writing is the NewBlack) I couldn't help myself but nod at every sentence. He tells us that writing is one of the oldest technologies that survived through time. Writing is always here, only the medium we use is changing. First it was rocks, that evolved to papirus and paper. Then came the computer and cellphones. Where will we be writing next? And then I realized something: writing, along with drawing, is the most minimalist creative endeavour we could have. We only need pen and paper. And imagination, if you want to do something good. Writing can take many forms – online or offline, in books and magazines, in ads and packages, in signs and clothes, in letters and smartphones. Even in hands, when you don't have any paper/device around you. To everywhere you look, you'll see it. Also, you write – I dare say – every single day since you learned how to do it. Grocery lists, little notes, sms to your friends and family, chats and posts in your social network of choice and many more that, surely, I'm forgetting right now. So, here's the challenge: try NOT to write for a week. Then, tell me, what did it feel? How did you overcome the obstacles? Use the hashtag #ddnowritingweek so I can follow your progress – but just three weeks from now! - understand why in a minute. This is a great way to realise how writing is important in our lives, but also to be creative and know new ways to record stuff or communicate when we don't have any writing supplies with us (may it be a tablet or a sheet of paper). The second challenge would be: write without using your regular writing tools, like pen & paper or derivatives - like pencils and crayons - or your computer/electronics (tablet, phone, etc). Now, how do you see the act of writing? Can it be transformed and be innovative? Which materials and tools did you use instead? Use the hashtag #ddwritingtools and let's see how creative you are! But, remember, do it only 3 weeks from now! I'm also meditating on this quote: Writing is simply the act of making your ideas real. How powerful does that feel? Just by put your thoughts out there you're creating something, you're constructing a path to whatever you want to achieve. So, that means you have the power to make your dreams come true by simply writing them. It doesn't seem that difficult, does it? Writing is a way of meditating about yourself, your inner-strenghts, your doubts and fears and then to act accordingly to them. By writing you'll be defining where do you want to get and which steps you need to make. Talking about dreams, I'm taking Andrea Schroeder's Give Your Dream Wings (GYDW) free e-course. It would be great to have the money for her Creative Alchemy as well, as there are a lot of great resources and also a welcoming community to be involved in. You'll see that the key here is journaling, a.ka. writing. For the first lesson, I had to answer three thought-provoking questions that made me take a step back and look at my life as a whole. What's happening in my life right now? A lot of things, a lot of happiness, a lot of fears, a lot of learning and a lot of doubts. First things first, I'll be a mother of a boy – my first child. I'm five months and a half pregnant, so my body and my mood suffered a lot of changes already. I'm excited, nervous, anxious and thrilled at the same time. I think about how much my life will change, how wonderful it will be, what I'll miss and what I'll gain, how kind of a person I will turn, what kind of a mother I will be. I fear that others will see me only as a mother, I fear to fail too much at this new role of mine, as well! I'm loving to see this little creature develop inside of me, I can't wait to feel it and share that joy with R. I'm taking photos of my belly every month so I can watch it grow. I'm receiving wonderful gifts from family and friends. And I never know how to thank them or repay – I don't like this word at all, we can't pay (for) love! - their love. I'm also making new friends, going out more, having more fun. I'm discovering myself in others and feeling inspired. I'm learning new things with them. My love circle is expanding: I give it more and I receive it more, too. I'm learning to be more open and let my true self come out. I'm learning to me more honest and frontal. I'm learning to fight for myself. But most of all, I'm happy! - Update: almost 6 months now and feeling my baby, every knick is, to me, an act of love. What feels stuck or uncomfortable? I don't remember feeling comfortable, ever! And I take it as a good thing, as I'm always willing/trying to change. I'm sure I already said it a few times but: 1) I don't want a regular job – I prefer to be a freelancer and work at my own pace, with my own schedule; 2) While doing it, I want to travel – possibly in an autocaravan – without route plans or for how much time I'll stay in one place; and 3) I want a minimalist, and sustainable, lifestyle. However, right now, I don't have any kind of job or paid activity. So, I'm uncomfortable for not providing for my family and to not putting my talents into a productive/useful way. I feel like I'm waisting my own resources. I don't need much money to be happy, I do have a somewhat comfortable life with the money R. already provides but... there's something missing. I can't buy him a nice thing and say: this is my gift for you, made of love and effort. Sure I can write him a letter or a poem, design something, create something with my hands. But it doesn't feel enough - not after, almost ,11 years together! I've to found out what is that something missing. Not knowing it makes me uncomfortable too. Last but not the least, I don't know which of – or how - my talents can be used to solve all the above problems. The answer is within me and yet I can't find it. I wish my son to be happy. I also want him to have the most fun and educational environment possible (can I do it without money? The free resources/tools I'm aknowledge of will be enough? Will my creativity will be enough?). I wish us to be a loving family, the less disfunctional as it can be. I wish to travel with them. I wish to be more of myself. I wish to find a way to give as much as I receive. I wish for my dreams to come true - but that I know it will happen. I can see that some of my dreams aren't included in my wishlist. And why is that? From this I realise my life goes around happiness and love. I don't seem to need nothing more besides that. Now what makes me happy is a different story: little things are the key. And love, well, I just need to find more and more ways to show it. On the second lesson, we're invited to describe how it feels to visit the field of the Creative Soul Alchemy. I felt calm, inspired, curious. I experienced innovative images in my mind that I wanted to come out of me as a product. I was anxious for the meditation to end so I could put all the ideas into paper. I was afraid to forget them as soon as the exercise ended, as they were popping up and shiffting too fast. I forgot all about my body needs, all of the pain and all of the problems and just focused on the situation itself, without judgement. I forgot I am myself or anything really. I was just being. After analising the whole experience, I realised three things: 1) I want to experience this once again, so I can have more cool ideas; 2) I want to feel more this way – non-judgemental, focusing on what I'm living and just being – during my day; and 3) my mind works, at the same time, in a metaphorical and literal way, mixing the two of them to create something new. How does it feel to be energetically supported in bringing your wildest dreams to life? I have only one answer to this: it feels natural. It seems an awkward answer as we're used to not see our dreams come true. Mine always had: I found my soulmate, I've pursuited my dream course, I'm creating a family, I'm becoming a better person and meeting wonderful people along the way. I never thought I'd be happy; now I can't imagine how could I be happier. Also, I don't have wild dreams. Or easy-peasy dreams. I don't judge it that way. I just work on it until I get it, sometimes I don't even know how I did it. So yes, it feels natural. What feels uncomfortable about naming and claiming your dream? Write out all the things that come to mind. What do you need to do about it to feel comfortable? What needs to change? Those were the most difficult questions I had to answer until now. The first question I had to pose myself was: why would my dream feel uncomfortable? In our guts we know it shouldn't, but the fact is that EVERY dream we have is uncomfortable to us, or it wouldn't be a dream but a reality. So, what is holding me back? That's the real question. Why isn't my dream a reality already? Because I feel uncomfortable with it, because there are things I still have to deal with before I put one step in front of the other. The first thing that came to my mind was my family – well, a small but important part of it. I feel judged at every action, and not in a good way. I understand they have their own vision of what life should be, but I don't know why they can't realise we can't all be put in the same bag. The solution I came up to deal with this was: 1) not to tell them about my decisions until I get a final, and optimal, result; or 2) not to do it at all. None of them are making me any good: I shouldn't have to hide myself from them or act accordingly their measurements/principles. What I need to do is to distance myself from what they'll think and/or say and have the courage to speak for myself, to take responsibility for myself. This was always a big issue in my life that I need to take care of right NOW. I know I can't change them, but I can change my (re)actions and the way I look and think about myself. Also, it feels uncomfortable to doubt if I can put my knowledge into words, specially in a form people will enjoy and understand. I know I'm good at writing, but I never tried to teach anything with my stories and poems: I just spoke from the heart. Maybe that's what I need to do now as well. It feels uncomfortable to know that, probably, even with the knowledge in their hands, people won't make an effort towards their happiness. Now that I let it all out: what do I need to do for this to change? I already mention some points, however I need to add that I have to work on my confidence. I also need to be more disciplined and work on my dream everyday – this means writing everyday, my dream - one of them - is to publish a novel. I have to have in mind that I can't control everything. People will know what to do with the knowledge they have. Being self-educated isn't hard. It requires a lot of curiosity, some discipline and strong will. But it isn't hard. We all are autodidactes, in a way or another: we just don't realise that. Don't they say life is a school? So here you go! When they want to learn something, people always seek for an institution. But why? They'd say it's mostly out of security - they know they're learning the right things in a right way (is there a right way?) - and they have a guide. Well, I'd say it's because it's easier. You don't have to research as much, you don't have to compare information as much (or organise it), you don't need to overthink about it, you don't need to always be alert and use your critical thinking all the time. Yes, it takes a lot of time. And it's worth it. I, too, have many guides while I'm studying "by myself". And it's much easier to take away all my doubts with them. They are forums and websites, self-learners like me, people that work in the field I'm studying, friends, etc. All of them give me a different perspective. And they show me new tools, new resources, new ways. So, if you spend more time learning when you're mostly by yourself, if you are more careful with the sources you use, if you do a lot more of research, if you take more than one method/way to learn what you want/need, if you get more than one perspective on the subject, if you are allowed to make mistakes and learn from them - why society prefers a certificated person? As long as I remember, some people cheat at exams. Or they have to please a certain teacher. And all they do is listen to that teacher, read the books he reccomends (or any other medium) and that's pretty much it. But, of course, you can be a self-learner while you're graduating and search for other information. But if you could learn for free, at your own pace, studying only (all!) the subjects you need/are curious about, why would you pay for it? Because, let's face it, which school offers you (at a small price) the range of knowledge you'd really like to achieve? You have Khan Academy, where you can learn about math, science, history and more. You have YouTube to learn how to play an instrument, a new language, fitness and beauty, to dance salsa or to cook (or the two at the same time) and many other things. You have TED to know about others experiences, lifestyles, researches and ideas. You have Quora to discuss anything you want. You have the Massive Open Online Courses (MOOC) in any field. You have libraries, and e-books, and podcasts, and blogs (and RSS readers) and Wikipedia! You have streaming websites. You have Skype, and e-mail platforms, and Moodle, and Facebook, and many other social network websites to communicate with people. You have Google to search for whatever you want. You have Pocket to store and organise online information, clouds to store and create new ones, Evernote to take notes as you go - even offline. You have endless tools to explore. You have smartphones, tablets and laptops to take all of this with you all the time. You have wi-fi hotspots wherever you go, so you can access all that information wherever you are. And if you prefer the offline way, you always have the good old letters and free courses. 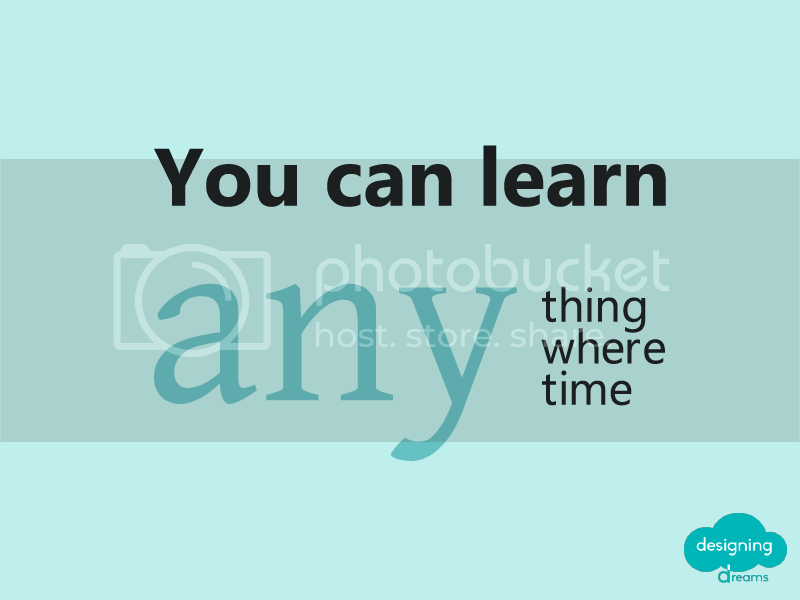 You can learn anything, anywhere, anytime. You have the mind, you have the resources. You only need the curiosity and the will to learn something more. Leonardo da Vinci is one of the biggest examples I can give you as a self-taught person. Saramago is another. I can add Jorge Luis Borges (and many other writers). Alan Moore. Goethe. Tarantino. Kubrik. Woody Allen. Bowie, Hendrix. Russel Crowe. Frank Lloyd Wright. Gustave Eiffel. Jacques Fresco. Edison. The Wright Brothers. Michael Faraday. Benjamin Franklin. Leibniz. Einstein. Marx. Lincoln. Darwin. Who think they learnt the wrong way? Who doesn't admire them? Wouldn't you like to be part of this list? I also already gave classes in two different places and in one of them I had to teach English and Portuguese to Chinese people! We only communicated in Mandarin, so it was a great challenge for me, just some months after taking my HSK exam. I believed that I could do it and wasn't afraid that everything would go wrong. And I actually did it! Me, a shy person, talking with Chinese people, teaching them, with a certification telling everyone my Chinese was only basic. And they loved me. And I learnt so much! And I'm so proud of myself. I also have learnt yoga with YouTube videos. I don't have the money to pay for classes and, yet, I managed to learn the movements and poses and the breathing, but also meditating (which is being hard to achieve). As I'm pregnant, now I'll learn even more things and prepare myself to childbirth. Isn't it fun? Through Khan Academy, I also started to learn math all over again. I was never good at it, so I started with the early basic - yes, counting to ten and stuff. Not ashamed of it. At the same time, I'm learning program language! Next, maybe I'll study physics. I was always interested in the subject, but my grades never showed it. With the Linguistic Team International, I learned how to create subtitles and compare them to previous versions, how to translate content, how to store and share information, how to manage a Facebook group, how to use language in a positive way, how to search for information and use it, what hydroponics is, sustainable living and so many other things. All of this by sharing knowledge with other people, and getting feedback and good reinforcements! After taking some free courses on organising information, time management, motivation and commercial sales, I started to look for more information about it. Sometimes you only need a little push. The Creative Differences Between an Office and a Coworking Space - A look at the benefits of coworking spaces vs traditional offices. Tap into: Connections. Collaboration. Creativity. Symbol Sourcebook: An Authoritative Guide to International Graphic Symbols - By industrial designer Henry Dreyfuss (1904–1972). Cruzine - the place, where knowledge becomes live. testing - The post testing appeared first on Cruzine. Vodafone: The Chase - [image: Vodafone: The Chase].The Chase From Vodafone.Outstanding Indoor Coverage.Power To You.Vodafone. A Vacuum Cleaner For The Brain - A vacuum cleaner for your brain? That’s the innovation at Penumbra, a medical-device company that makes equipment to treat strokes and brain aneurysms. Before Midnight - Like sunlight, sunset, we appear, we disappear. We are so important to some, but we are just passing through. Dirty Kochs will dish out millions for polluting this Texas town - The Koch bros' plant is just one of a gaggle of polluters strangling Port Arthur, a city also beset by ghastly levels of lung disease and cancer. E o final de semana? - Hum...esse foi bacana! Sábado..... e domingo! Smelly CatSmelly Cat | Animando sua telinha!